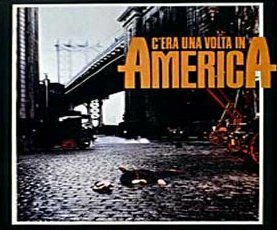 Once Upon a Time in America is epic crime film directed by Sergio Leone with Robert De Niro, James Woods and Elizabeth McGovern in main roles. The screenplay for movie is made by Leone and Leonardo Benvenuti, Piero de Bernardi, Enrico Medioli, Franco Arcalli and Franco Ferrini based on the novel The Hoods by Harry Grey. The movie follows four boys in prohibition time in New York, which became organised crime members, kids are growing and falling in love, criminal life brings competition between them resulting with betrayal which killed them or make them enemies for the rest of life. Spectacular music is made by Italian colleague Ennio Morricone but the films strengths emerge only in its full 229-minute version (the 139-minute version dont make nearly the same impact). Although on my humble opinion better than comparable The Godfather, Once Upon a Time in America is less popular. The difference comes from giving answers, like Coppola is doing, or asking the questions and giving no real resolutions, like Leone in his film. anonymous: "they sure dont make them like this anymore." Solve this complex math: 1 + 4 = ?